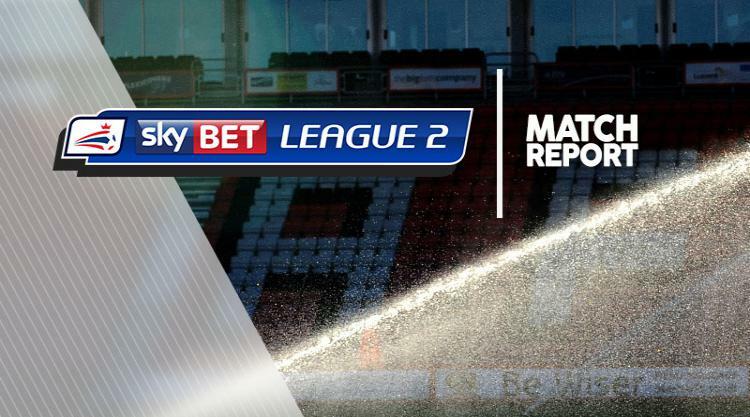 Wycombe kept alive their hopes of a Sky Bet League Two play-off spot with a 2-0 win over managerless Barnet at The Hive. Sam Saunders' superb long-range strike and a late Joe Jacobson penalty did the damage as the Bees, who sacked Kevin Nugent on Saturday, slipped to a fourth successive defeat. The visitors took a 21st-minute lead in spectacular fashion when Saunders stole the ball in midfield and caught Barnet goalkeeper Jamie Stephens off his line from more than 30 yards. Barnet were very nearly level immediately but Fumnaya Shomotun was twice denied from close range by Chelsea loanee Jamal Blackman. Wanderers almost doubled their lead just before the break as Stephens had to be quick to block Luke O'Nien's shot from a tight angle. Barnet captain Curtis Weston was denied by the crossbar after the break after Blackman dropped the ball at his feet. The Bees hit the woodwork again with seven minutes to go when substitute Ruben Bover unleashed a fine strike from 20 yards. However, as the Bees pushed for a leveller they were caught out at the back and Weston brought down Garry Thompson in the box, allowing defender Jacobson to score from the spot in the 90th minute.